It is paramount to attracting what you want into your daily life experience, that you learn to release negative feeling energy quickly because it is like a fire. A small fire can be handled quickly, a large raging fire, not so much. Knowing this process below and using it will definitely help you to quickly shift from negative feelings to positive, leaving you in a state of high vibration. The images are followed by the written steps, each image represents a step, in some cases there are two images to represent the step. 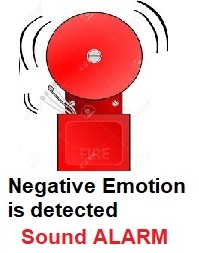 The idea is to give you a visual cue to help you get out of negative energy. 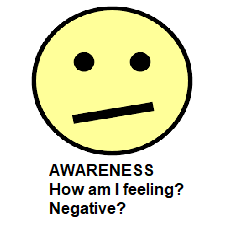 AWARENESS – how am I feeling, Negative? count by 3,6,9 . . .
you might have to go to some general statements of well being or simply truthful statements that you believe or generally acknowledge the truth about your self and abundance. 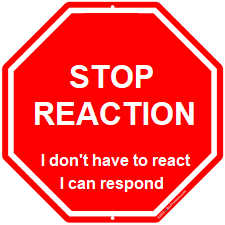 You are just looking for words / phrases that have zero resistance. 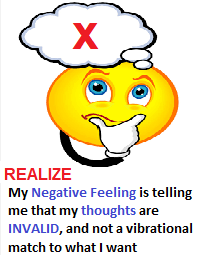 REALIZE, that your thoughts are invalid and inaccurate, that is why you have the negative emotion, to indicate this. They are out of alignment with who you are and what you want. 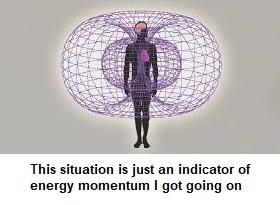 It’s something I attracted (no one is doing anything to me, they are simply an indication of where my vibration is. 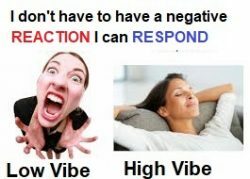 No matter what they are saying or doing how they are saying or doing it, it is an indication of my vibration). 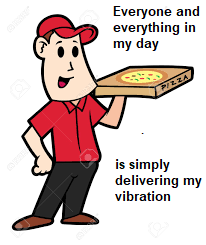 They are like a pizza delivery person, just delivering what I ordered with my vibration. 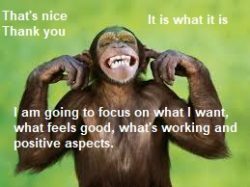 It’s mine to fix although I can ask for help or make a suggestion if that is applicable or even take action to address the situation if that is applicable, making sure I am in a high vibration frame of mind first. 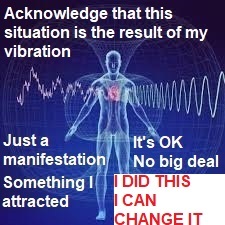 THANK YOU (for letting me know what vibration I am offering, or about some negative momentum I have going on some topic / subject and therefore helping me to identify what I want). It is what it is. Only when you get this step can let everyone and everything off of the hook, no blame and taking responsibility. 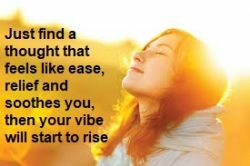 Only then can you release the negative feeling thoughts, detach from the situation and accept it as a manifestation of your energy. Then you have space in your mind to refocus on what will bring that new situation that this one caused you to ask for which is the next step. FOCUS on what you want (write it out can be helpful, I love my . . . or I love that . . . or it feels nice when . . . or if it was this way it would feel . . .) or focus on anything that takes you to the vibration of what you want. Things that feel good, are working or positive aspects. About the issue or any issue. It can be general or specific. You can tell your story. Notice how the statement makes you feel. If it is not giving relief go more general until you get the relief. 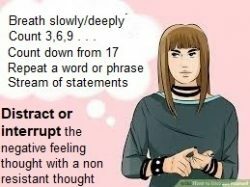 Understanding where your negative feeling was on the emotional scale can help you to know what you are reaching for in terms of a thought that would feel better. 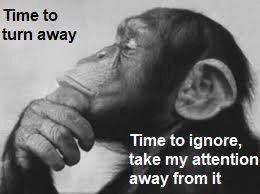 Practice the thoughts of what you want when you are not in the middle of what you don’t, when what you don’t want is happening that is not the time to work on it, just do this process to help you ignore, detach, realize it as a manifestation, as causing you to ask for and be clearer about what you want. 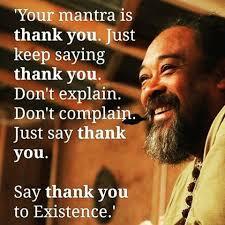 Be grateful for that. Practice is thinking about it intentionally, writing it out intentionally. Practice deliberately thinking about what you want to think about.